Hello everyone! 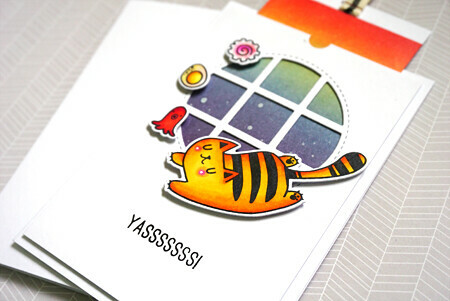 Welcome to another day of Stamp Highlights! 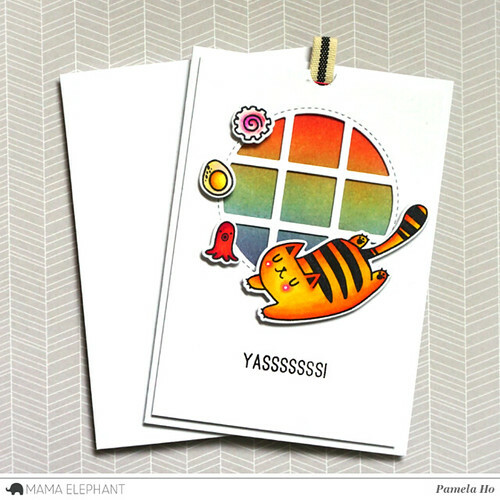 This is Pamela taking over Mama Elephant's blog with a project highlighting the creative cut set Basic Circles. 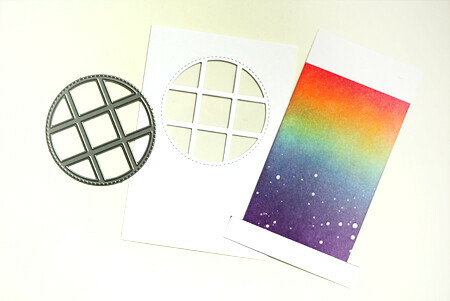 I focused on the circle window frame from this die set and I wanted to create a semi-interactive pull out card. I wanted to create a window where you can go from sunrise to sunset for the background. 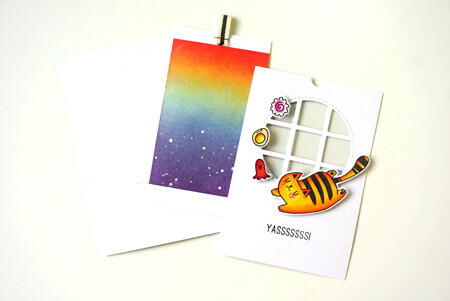 So first of all, I blended these colours onto a strip of cardstock. I wanted a cute kitty to frame this window frame and I knew this little kitty from Nom Nom Kitties would be perfect. And this is where I'm going to put each element on my card. 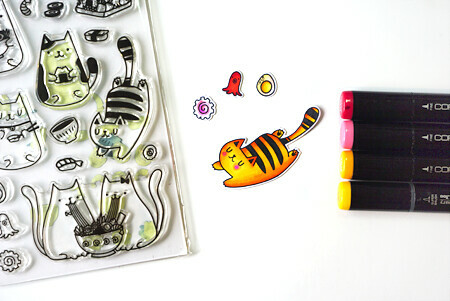 I also coloured and die cut the food from the same Nom Nom Kitties stamp set. And the sunset scene, with the stars as well!